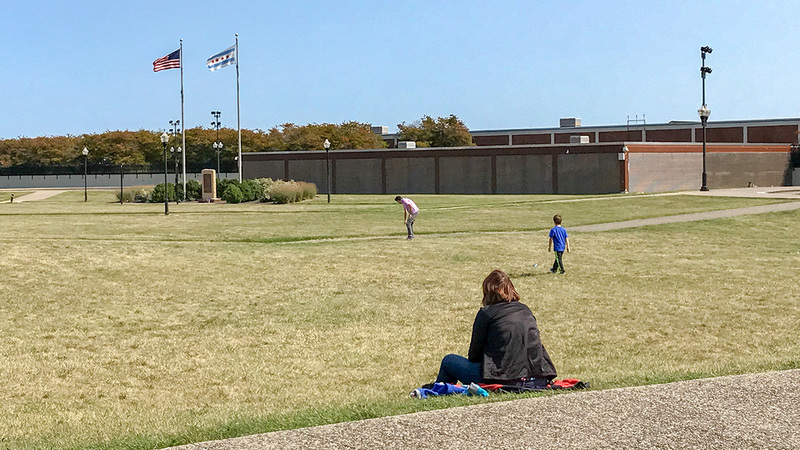 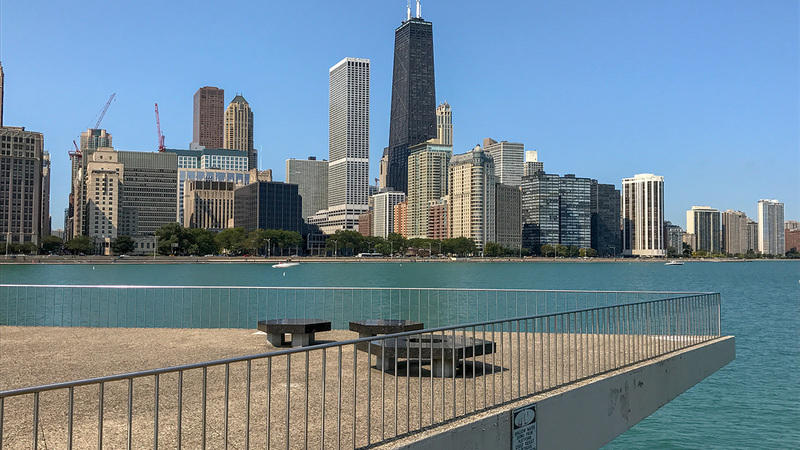 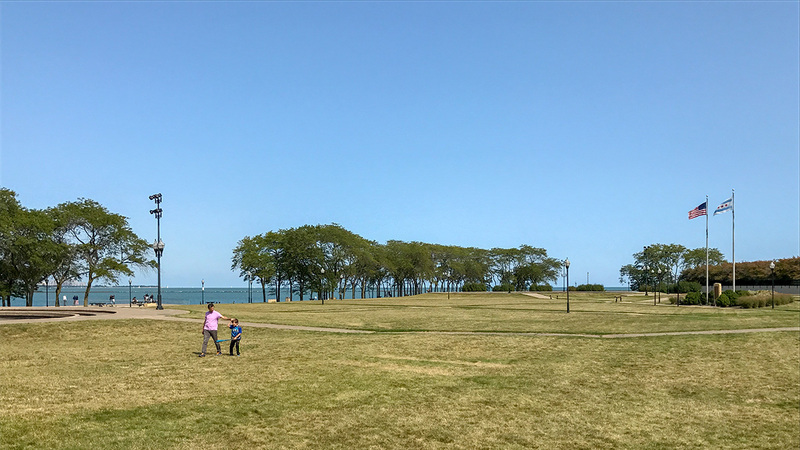 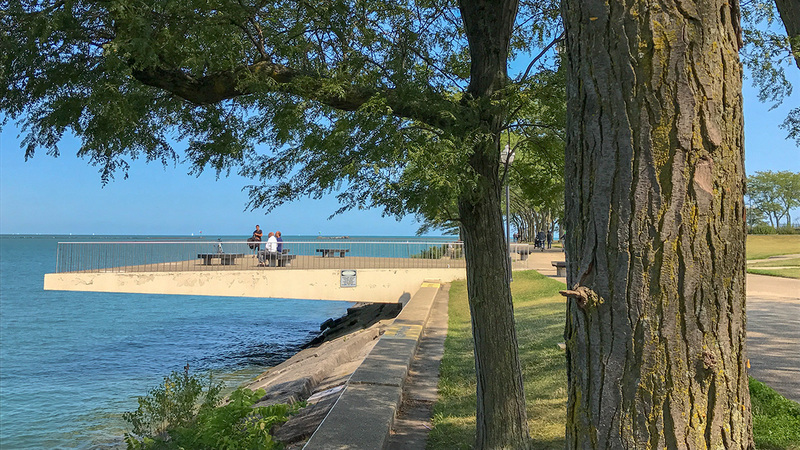 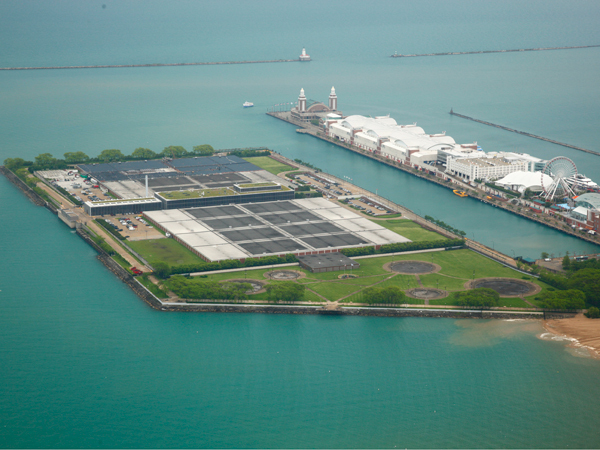 Located on the western side of the James W. Jardine Water Purification Plant on a man-made peninsula just north of Navy Pier, the park is adjacent to the Ohio Street Beach and Addams Park. 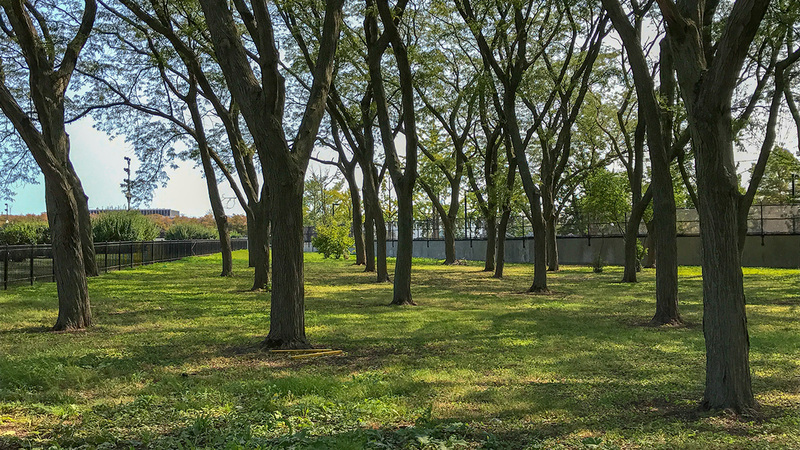 The fenced entrance to the park, which was designed in 1965, is marked with a wide allée of honey locust trees that lead to the water’s edge and frame views back towards the city. 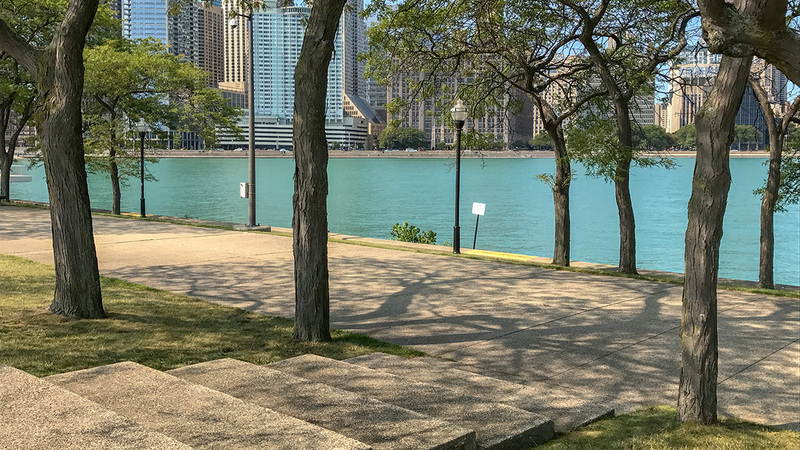 At the midpoint of the allée a cantilevered deck with black polished granite benches extends out over the lake, offering expansive waterfront views of the city looking northwest. 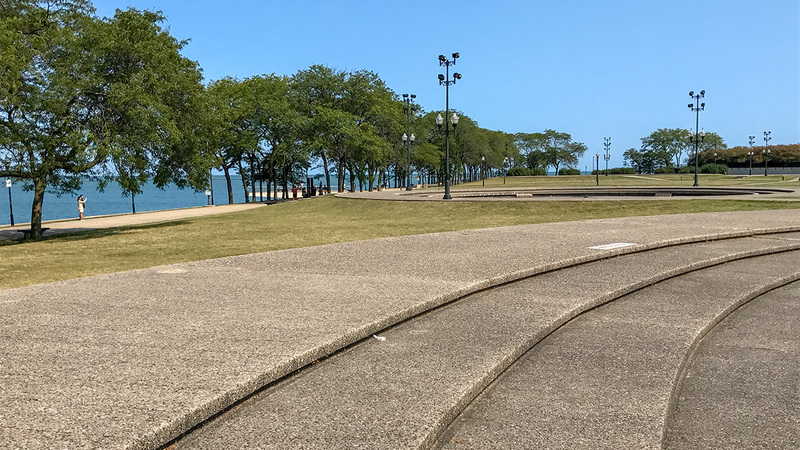 The main body of the park consists of five stepped, aerating, circular fountains of varying circumferences, connected by diagonal walks. 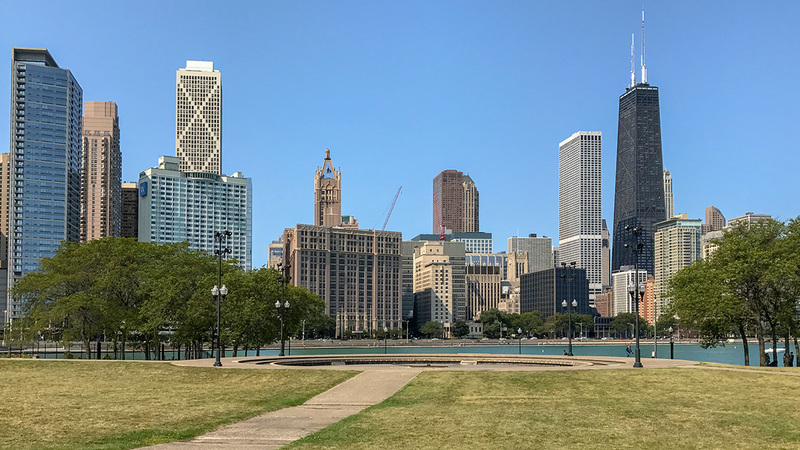 Swaths of green lawn gently undulate between the fountains, setting the pools at subtly different levels. 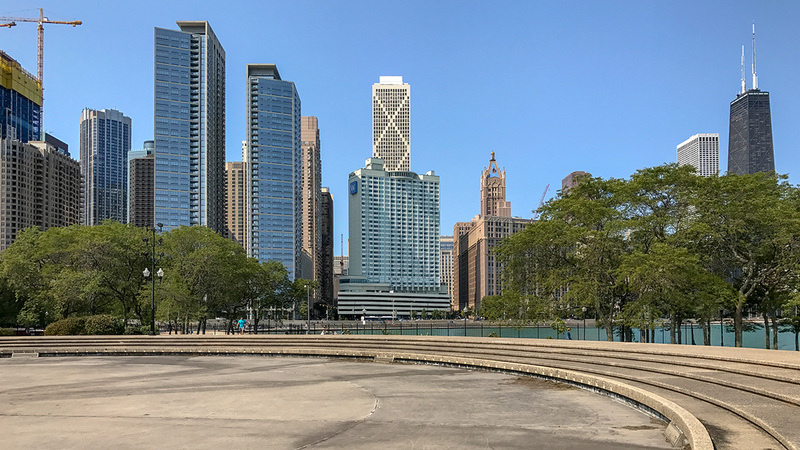 The pattern of circular fountains and connecting paths becomes apparent when viewed from the nearby high-rise buildings along Lake Shore Drive. 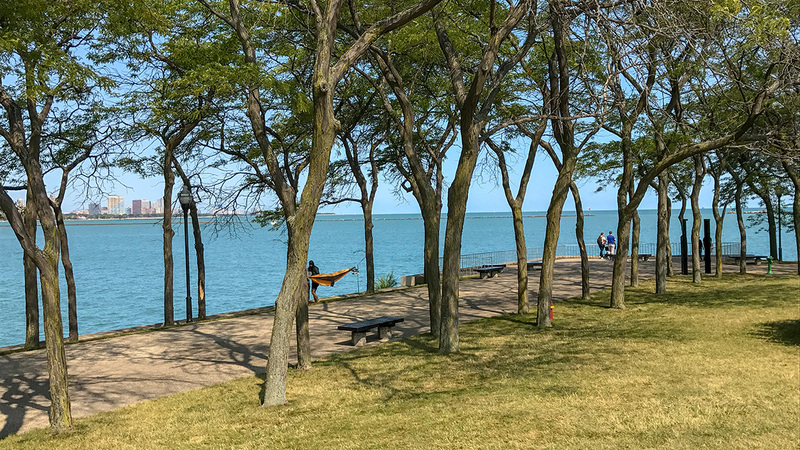 The park also features a statue, Hymn to Water, by Milton Horn, and a monument to Milton Lee Olive, III (1946-1965), the first African American recipient of the Medal of Honor in the Vietnam War. 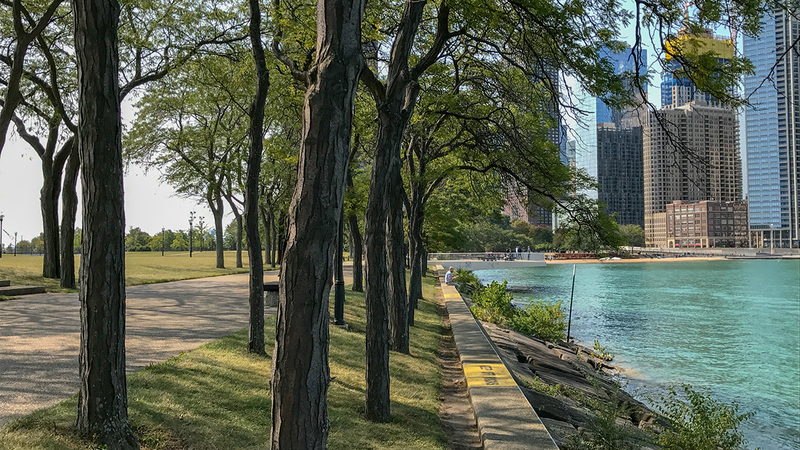 Along with the Art Institute of Chicago’s South Garden and Navy Pier, Olive Park is one of three Kiley landscapes in Chicago.